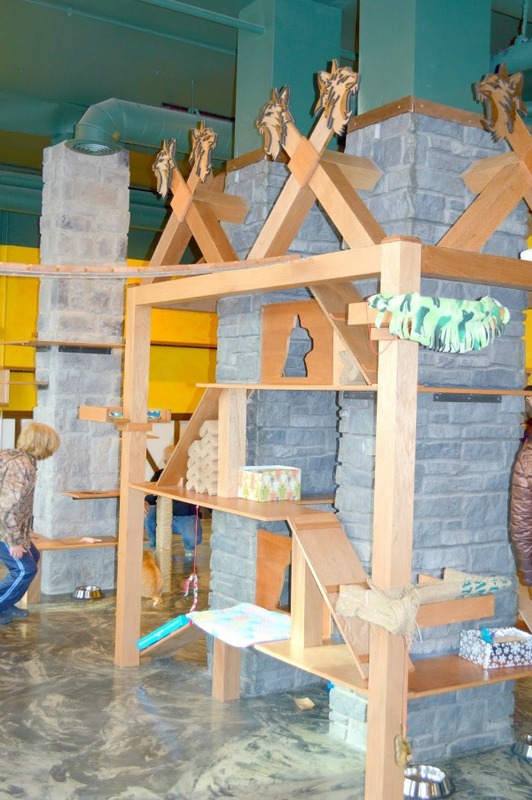 This is a guest post by Valerie Hansen from Maple Leopard. 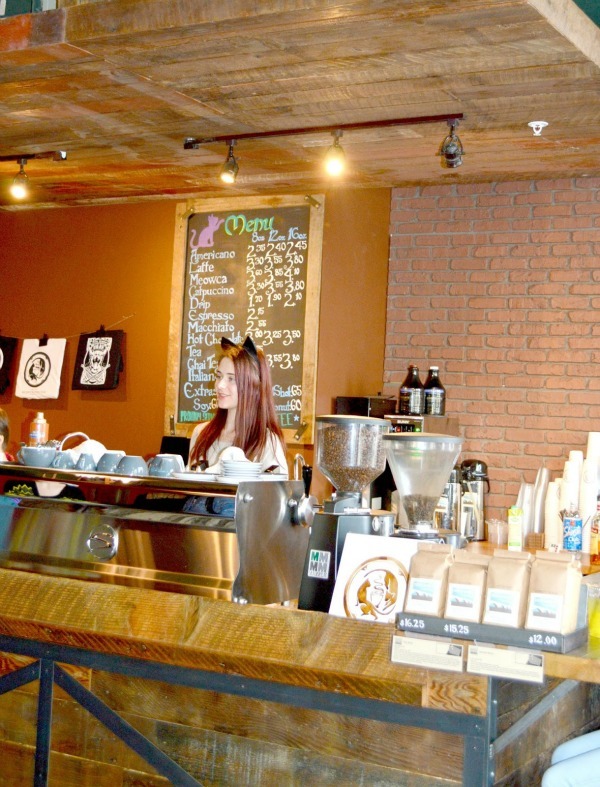 If you are a lover of coffee and cats, then Meowtropolitan cat cafe is a must-see destination! 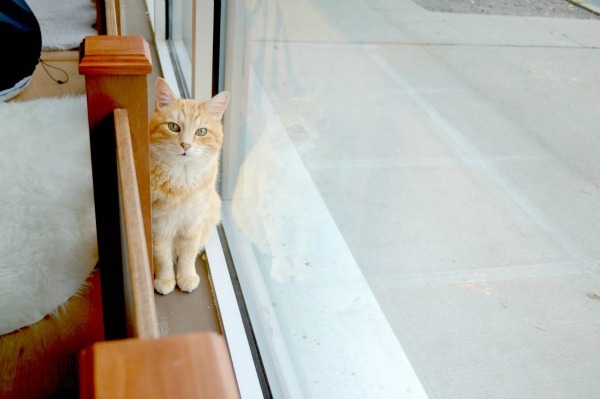 The Wallingford area of Seattle is home to this new coffee shop and cattery. 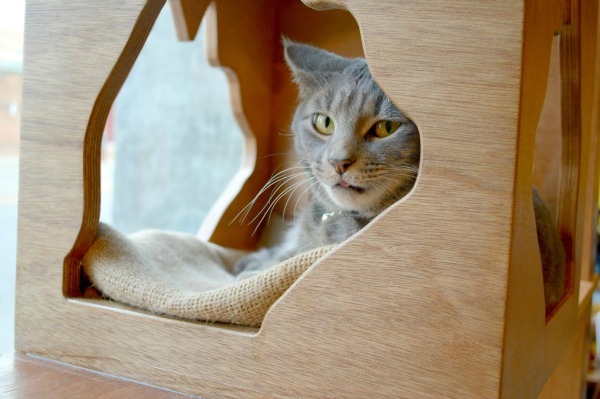 Cat cafes are quite popular in Europe and are starting to gain popularity here in the states. I've loved cats all my life. I think I was born with the cat lover gene if there is such a thing! My fondest childhood memory of my dad, was him carting his cat along with him everywhere he went. 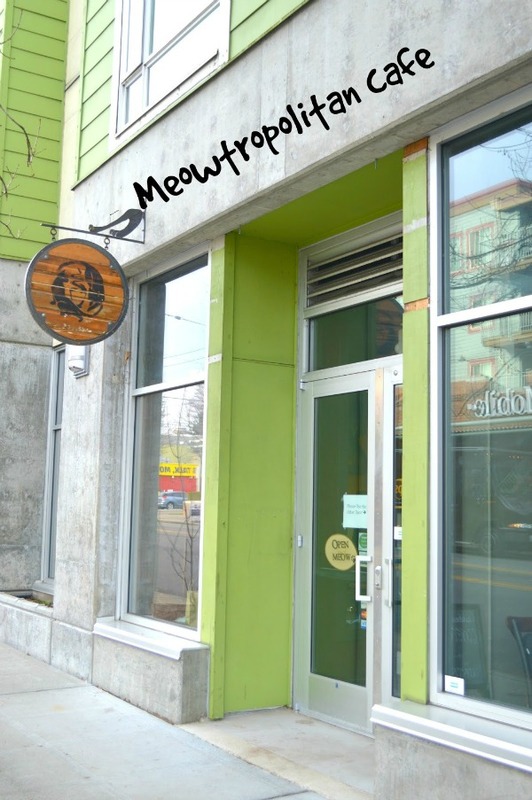 When I heard the Meowtropolitan was coming to town, I knew I had to get there asap! This unconventional coffee shop idea was a dream come true for two University of Washington graduates. 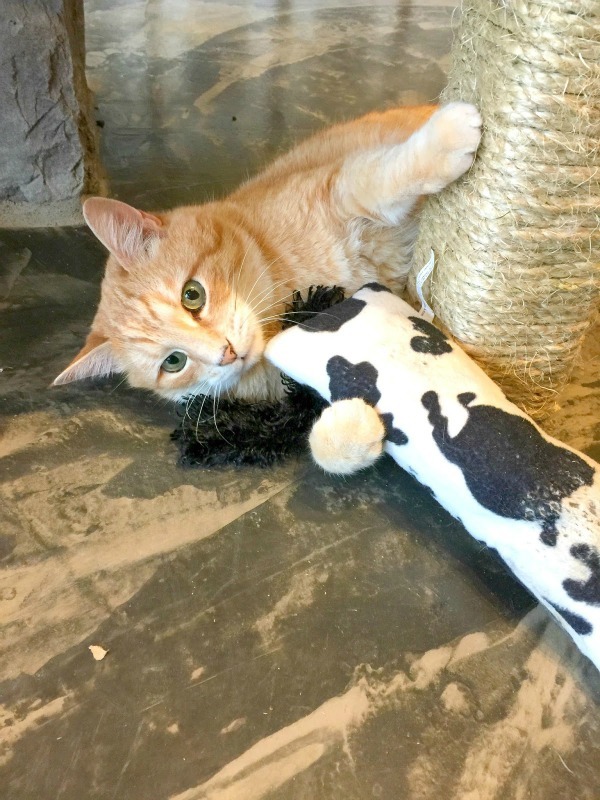 They want people to come hang out, feel a sense of community, and enjoy the company of the cats. I know some of you are probably thinking: Ew!! - I don't want be served up any fur with my java! No worries, the cafe is a separate room from the cattery. 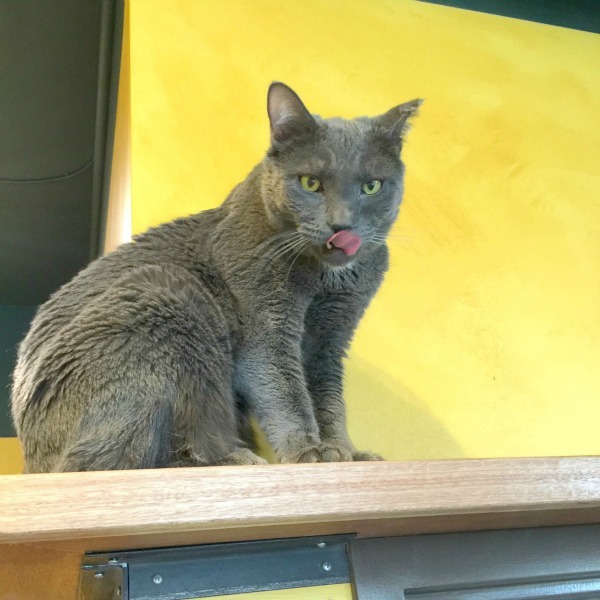 You can sit in the coffee shop and enjoy the cats through the huge viewing windows, or order your drink and take it inside the cat room. I had a fabulous time checking out all the beautiful kitties! They were so much fun to play with and watch! There were a few feisty boys that provided endless entertainment. The orange tabby I am holding was a hoot. 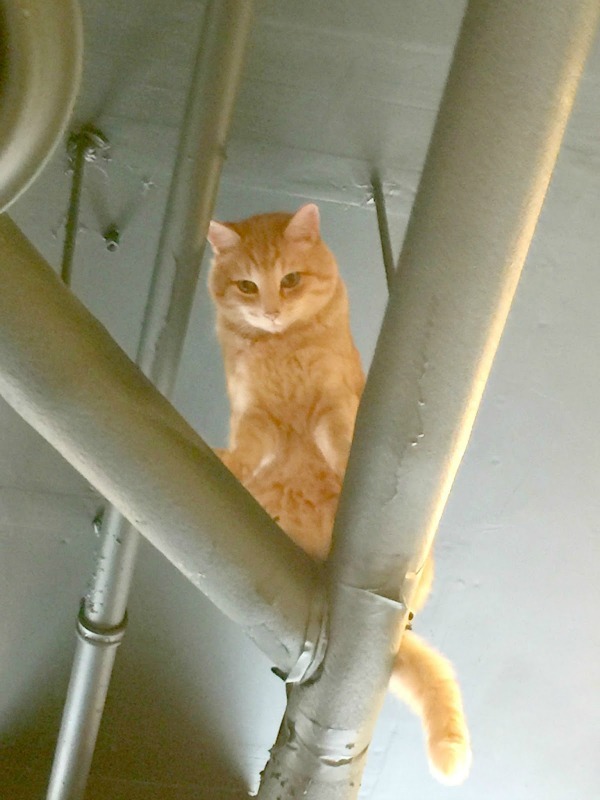 He took several journeys to the top of the rafters! Oh and...oops...I broke the rules... you are not supposed to pick up the furry loves! I love the mission of this business: They are partnering with Regional Animal Services of King County (RASCK). All the cats are brought from the shelter and are available to adopt. Furbabies of your own are not allowed in the cafe. 3. Check in with the cashier and proceed to the cat lounge and have fun! I was able to get in on a cancellation, as I did not reserve my spot ahead of time. The cost to enter the lounge part of the cafe is 10.00. The fee does include a drink of your choice and it helps fund the adoption /upkeep of the animals. 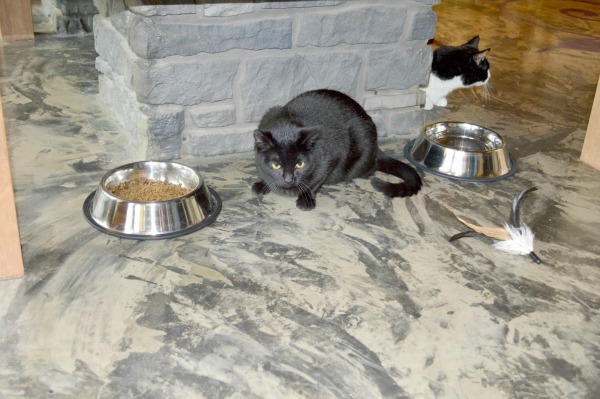 The time in the cattery is limited to 50 minutes, so the cats don't get too overwhelmed. If you feel you need some feline-themed merchandise in your life - mugs, t-shirts and the like are available online. T-shirts and a few other items can be purchased on location. If you are in the area, I hope you can stop by to enjoy the friendly company of the felines and a cuppa jo! 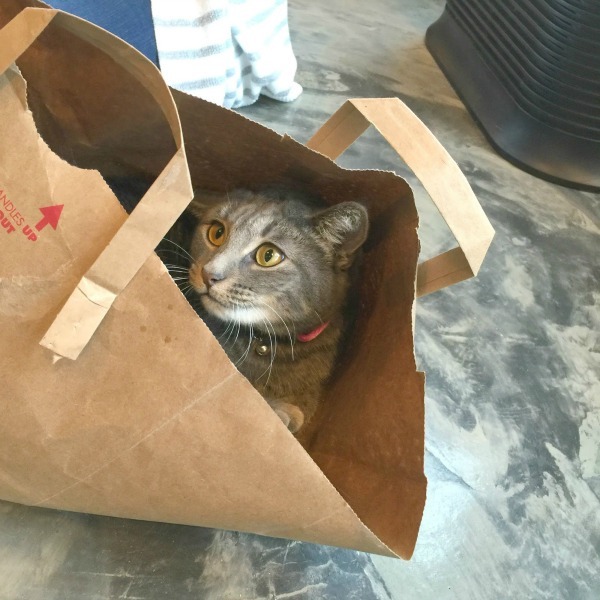 Have you ever been to a cat cafe? If so, feel free to share in the comments. I hope the New Year has been good to you so far, and thanks for taking time to visit. Those were all great photos and the kitties are all so adorable! I also hope that they have the same issue that they had up in Vancouver... that all the cats were adopted out. How cool! I can just hear the health department in our area fussing, but personally I love the idea. Oh my God, I would live at that place! I love it. What a great idea. Oh, I need to plan a trip. Great idea. Thanks so much Vanessa..you are a doll to share my post!! Love connecting with other kitty lovers! Looks like mommy wuln't get any more coffee drank there than she duz at home. MOL Gweat fotos. 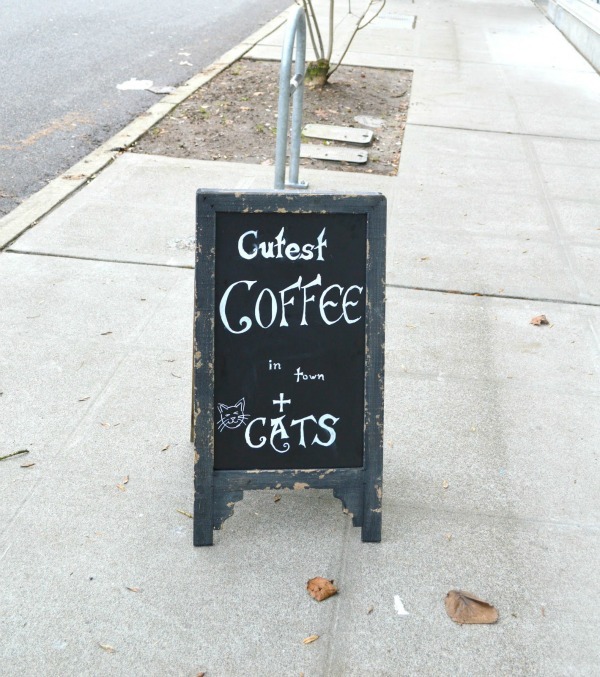 Two of TW’s favorite things: cats and coffee. Gorgeous kitties, especially the one in the paper bag. I love the climbing structure. Aww! lovely photos and love the cafe name heheh! This is so neat! It looks really nice and cat friendly. I'd love to go there! Fantastic!!!! What a great place! Would love to see it in real life!